BATMAN ARKHAM ORIGINS SERIES 2 ACTION FIGURE: DEATHSTROKE DC COMICS Inspired by the designs from the upcoming Batman: Arkham Origins video game, which introduces an original prequel storyline set several years before Batman: Arkham Asylum and Batman: Arkham City, comes four of Gotham City's most dangerous criminals! *For MINT IN BOX are the days I'm going to post Action Figures that still new in there package that are part of my collection. Many more to come. Originally a soldier in the U.S. Army during the Vietnam War, Slade Wilson was part of an experimental super-soldier program where he gained enhanced strength, agility, healing factor and intelligence. Deathstroke became a mercenary soon after the experiment and rapidly gained a reputation as one of the world's greatest assassins. Following his defeat and incarceration at the hands of Batman, Deathstroke escaped from the maximum security wing of Blackgate Prison and worked as an ally of Scarecrow and the Arkham Knight, serving as an advisor and overseer of their siege of Gotham and campaign to defeat Batman both mentally and physically, unmask him and turn Gotham City into a city of fear, specifically. After the Arkham Knight was defeated, Deathstroke replaced him and took his place as commander of the Militia and Scarecrow's second-in-command. 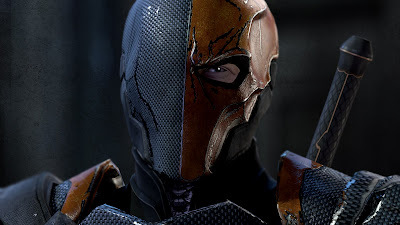 Deathstroke appeared as a supporting antagonist and one of Black Mask's 8 assassins in Batman: Arkham Origins and a appeared as a Most Wanted antagonist in Batman: Arkham Knight, but after the Arkham Knight became an anti-hero in the end, Deathstroke took over the Militia and was revealed as the tertiary antagonist. Im a fan of Deathstroke but this figure was not really for me. I didn't really liked how his hands held his weapons that I saw in other review. Plus he seemed a little chunky and hard to pose so I decided to sell him. 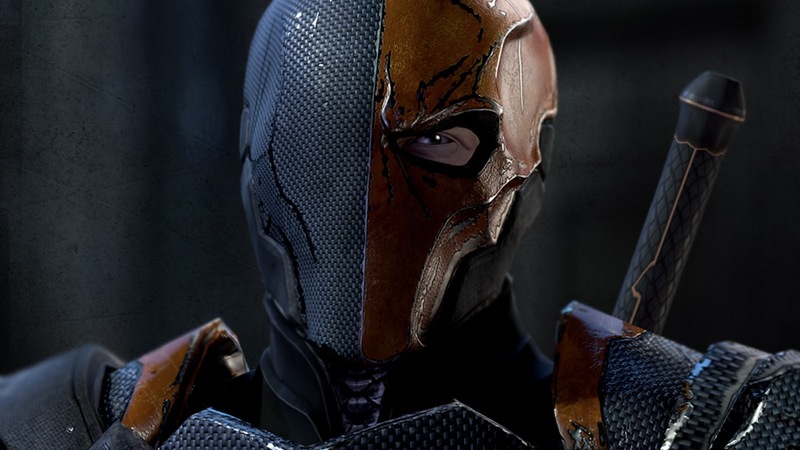 This Deathstroke looked cool at first but I hope there is a better version of him later on.